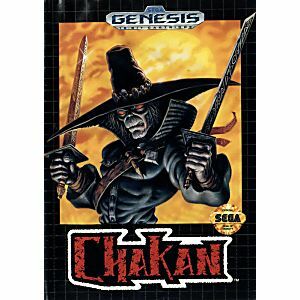 Chakan Sega Genesis Game cartridge Cleaned, Tested, and Guaranteed to work! I am very pleased with the purchase of this game. It arrived in excellent condition (even after making an international flight to Brazil). Thanks lukie games you won a customer forever. Now talking about the game. 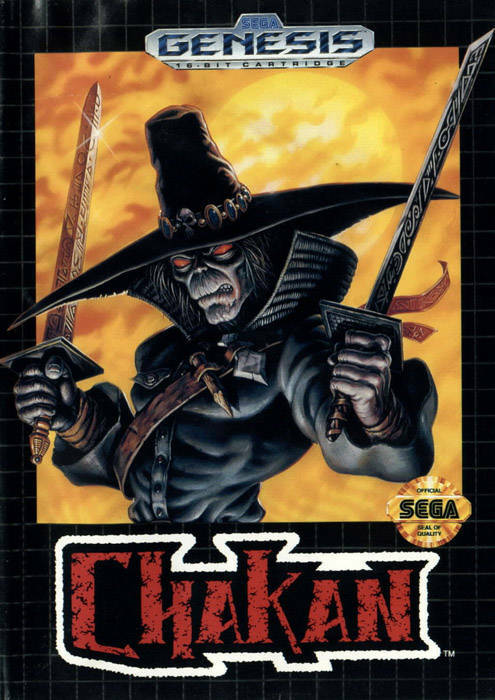 Chakan is a very good game and has a very strong challenge. The game has 24 stages with an excellent level designer and certainly this in my top 100 of genesis games. This is a unique game that is kinda on the dark side, but fun as well. It does take getting used to, but it is pretty cool in my book! Cirtain parts of gameplay are simple yet very intricate for it's time. I would recommened it to those who are looking for a good challenge. Oh boy, this one is tricky! A very hard game, have not finished it to this day. Can get very frustrating sometimes, but it does have some good music and good gameplay. If you can handle the difficulty cliff, then this will be a fun game for you!